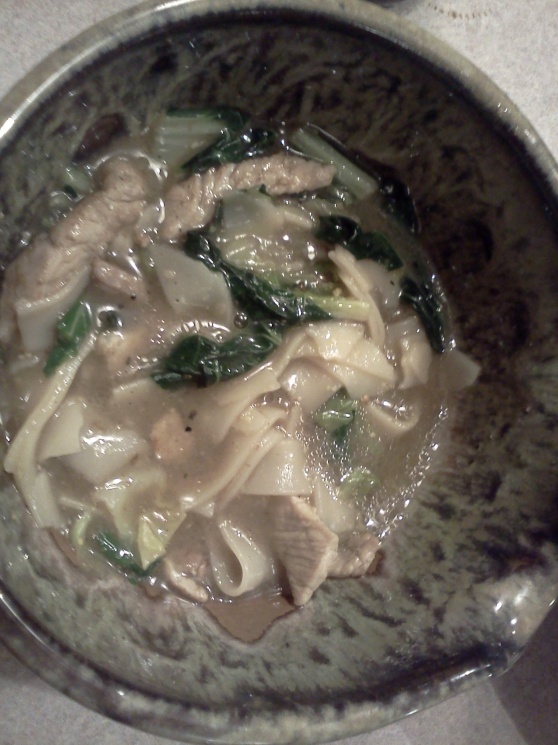 Soak the noodles in warm water for 30 minutes then rinse in cold water. Add noodles to a pot of boiling water and boil for 1 minute, then rinse in cold water again, and set aside. 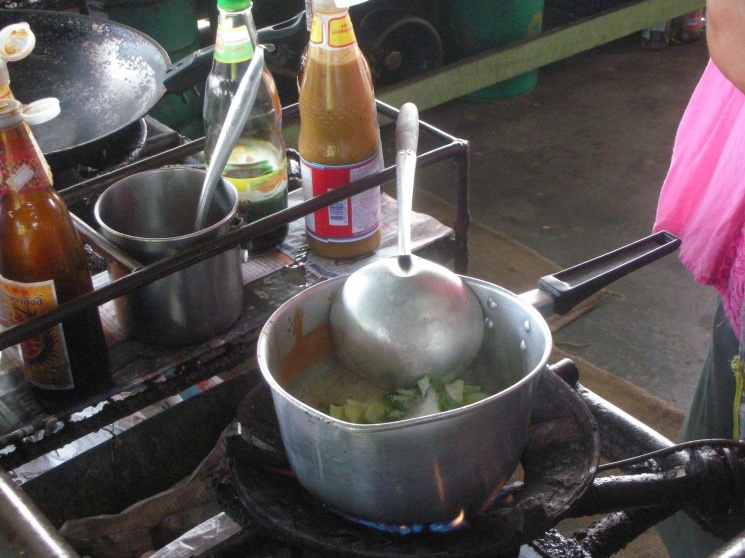 Our Thai cooking basket is a good tool to do this task. 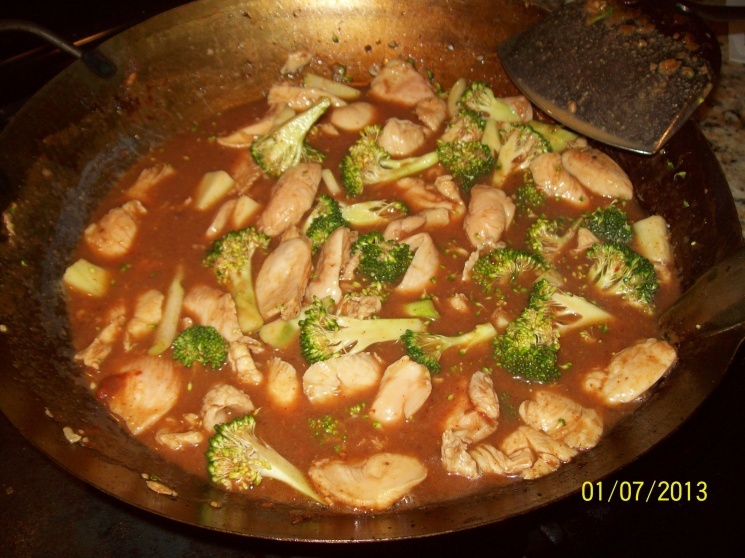 Toss chicken with 1 tablespoon tapioca flour & the Maggi Seasoning. Marinate for 10 minutes. 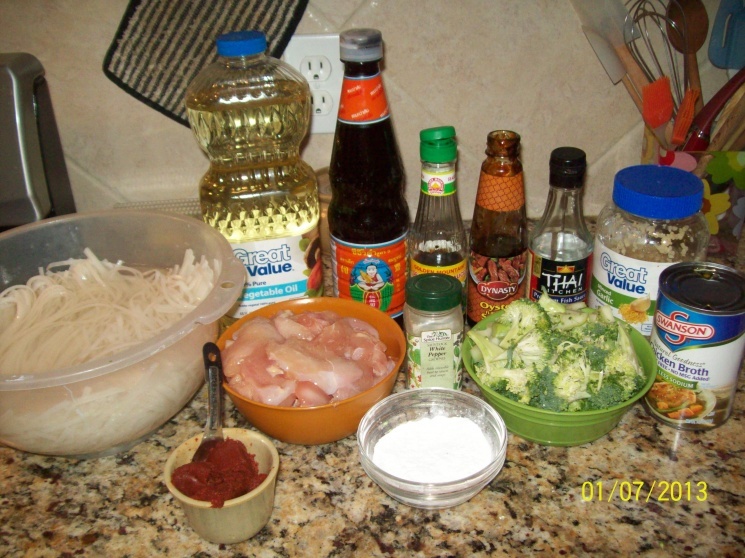 In a mixing bowl, separate the noodles and toss thoroughly with 1 tablespoon oil and the black soy sauce. 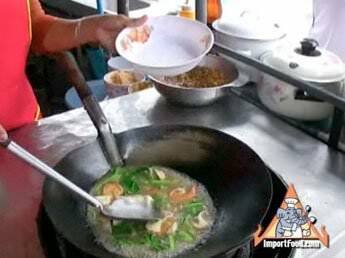 Fry this in a nonstick pan (noodles will stick to a wok so you should use a nonstick pan if possible) until golden brown. Remove from pan and keep warm. Saute garlic in oil over medium heat until golden color, then add yellow bean sauce, stir well until fragrant. Add the chicken and saute until cooked. Add 2 1/2 cups chicken stock. 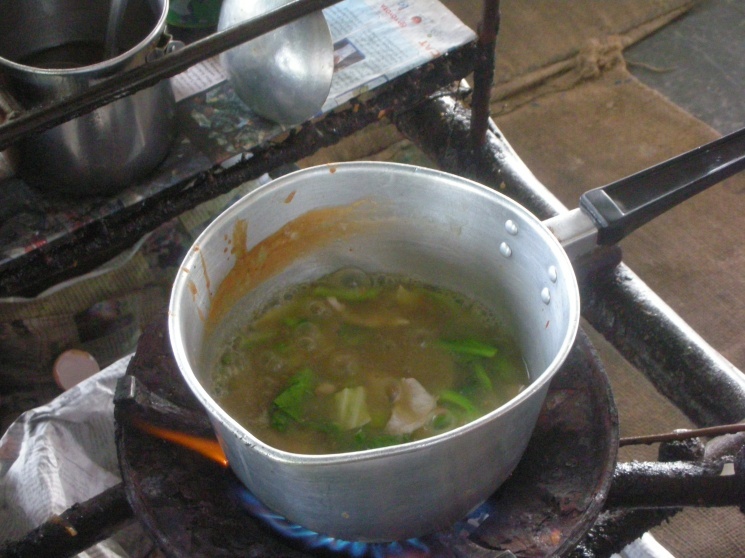 When stock starts to boil, add broccoli and season with fish sauce, oyster sauce and sugar. Stir well and let cook a bit longer. 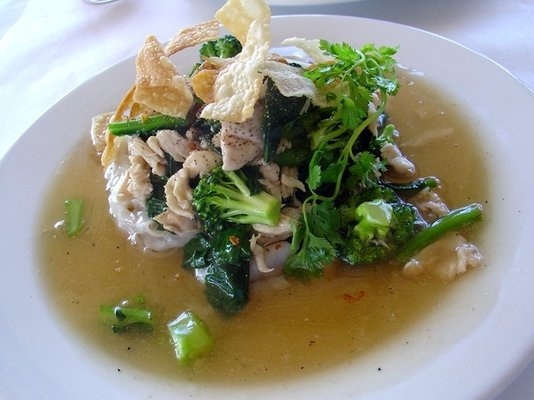 Mix remaining tapioca flour separately with the remaining 1/2 cup chicken stock, then stir in with the chicken & broccoli until it thickens. Remove from heat. 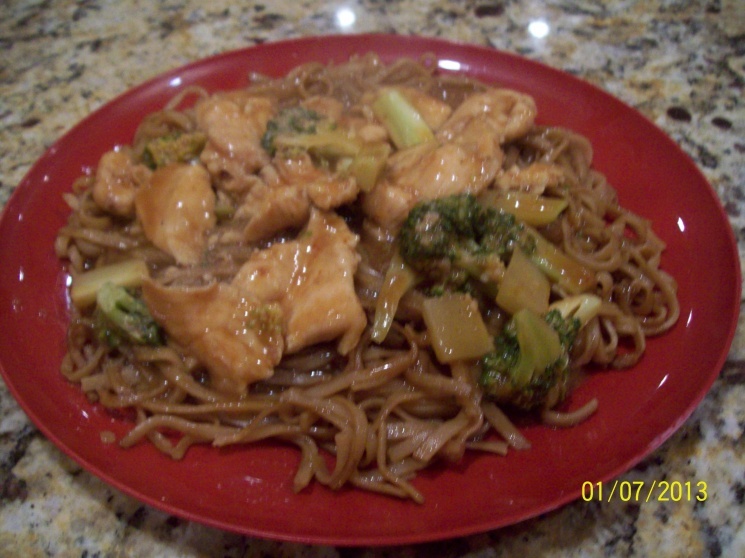 Arrange the fried noodles on a serving plate, spoon the gravy over the noodles. Sprinkle with Thai pepper powder, and serve with prik dong in a separate small bowl (cut the chiles a bit before placing in the bowl). Enjoy! 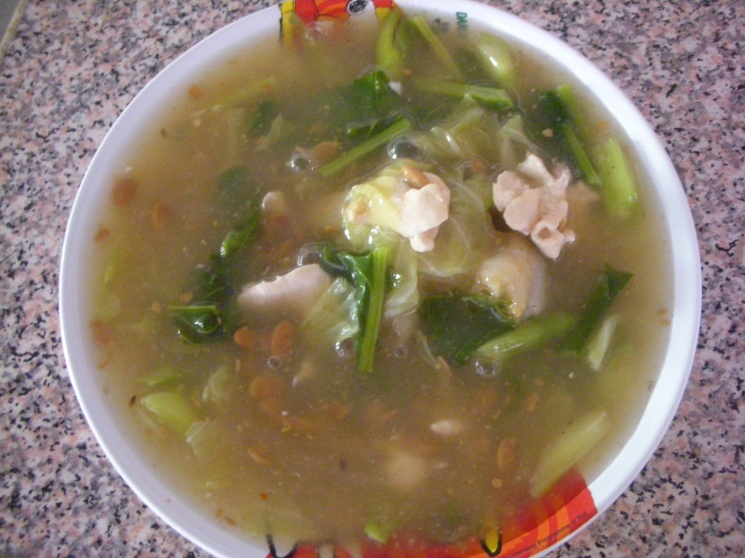 Lad na is one of my favorite dishes.Easy to cook and taste good )Yummy.Thanks for sharing! 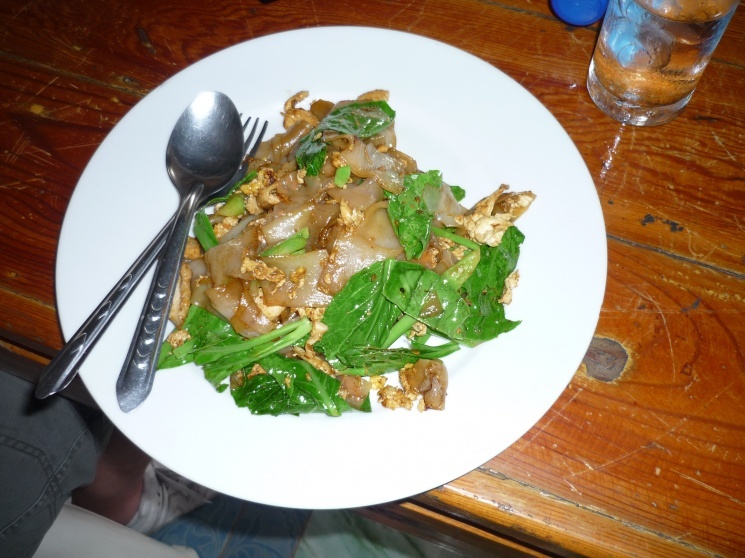 We are just learning to cook Thai foods. We need a lot of help. 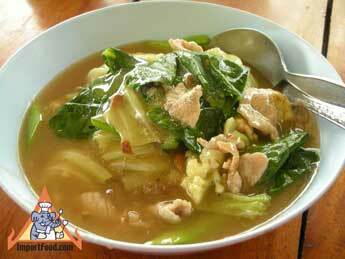 There is a dish from Indonesia called Rad Na. I wonder if they are similarly prepared? 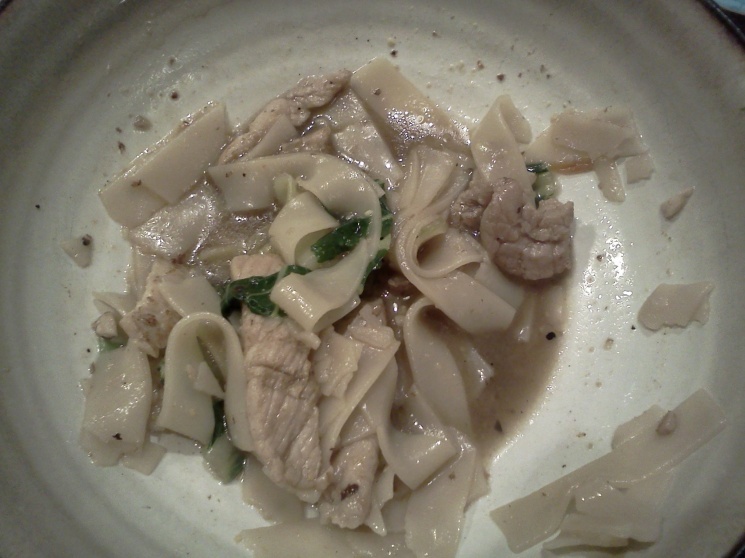 Alas, my gut can no longer handle wheat products, so no yellow bean sauce, or oyster sauce. I miss laat nah. Does anybody have suggestions for substitutes, especially the yellow bean sauce? Made this recipe many times, except I substituted the yellow bean with black bean/mirin. I usually double sauce ingredients, cause I like lots of sauce. It is always a hit! !